Eric Moore Custom Homes Inc. announced that owner and President Eric Moore has been inducted into the Cambridge Who's Who Executive and Professional Registry. 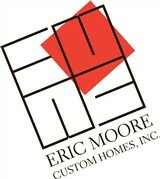 Moore has owned his own custom building company for a decade and has been a recipient of two major awards within his industry. He also has been an active licensed real estate agent for the past 25 years and holds designations of Graduate Realtor Institute and Certified Residential Specialist. He currently is working toward his Green Building Certification.